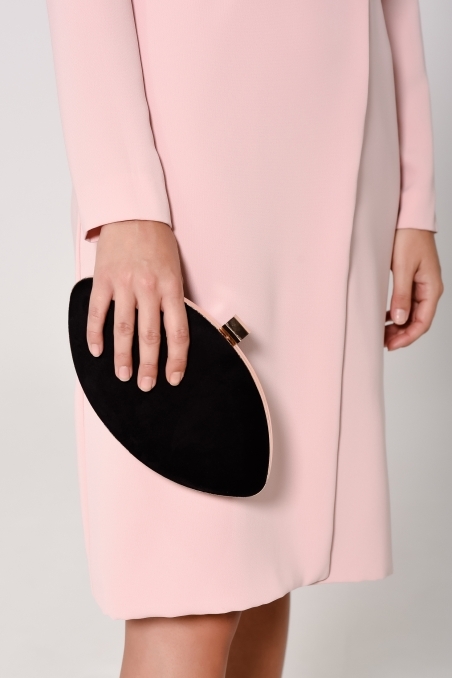 Clutch in black velvet, 26,5cm long, 14,50 cm high and 5 cm wide. Golden chain and fastener. All our accessories are created after your purchase. They don't allow return. More info.